Our executive team is responsible for the day to day leadership of City Harvest. Since becoming Executive Director in 2006, Jilly has overseen City Harvest’s efforts to meet the rising demand for emergency food while putting in place long-term initiatives to address the health and nutrition needs of low-income communities in New York City. Jilly joined City Harvest as Senior Director of Program Development in 2004, where she played an important role in developing the organization’s expanded community services that evolved into City Harvest’s Healthy Neighborhoods initiative. Prior to joining City Harvest, Jilly served as the Vice President of Program Operations at ORBIS International, an $80+ million nonprofit organization dedicated to the elimination of avoidable blindness through hands-on surgical training and education. Gregory Boroff oversees our fundraising, volunteer services, marketing, communications, and special events initiatives. 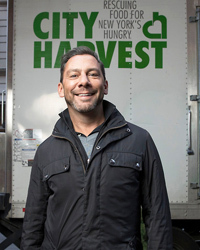 Gregory returned to City Harvest seventeen years after having worked here earlier in his career. 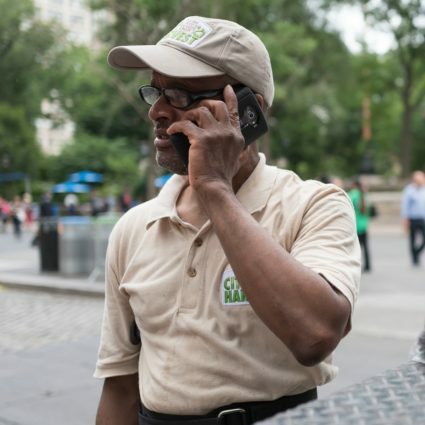 Over his twenty-five year career working with nonprofits, Gregory has raised more than $250 million for organizations that include Friends of Hudson River Park, amfAR, Food Bank For New York City, and Gay Men’s Health Crisis (GMHC). BizBash magazine named Gregory one of the 66 most innovative people in the event industry. Gregory serves on the Boards of the Council of Protocol Executives and Greater New York Chapter of the Association of Fundraising Professionals. He is a member of the BizBash Magazine Advisory Council and previously served on the Board and as Program Dean of the CAE Career Enrichment Committee for the New York Society of Association Executives. He is a proud supporter of New Hope for Cambodian Children, and he has served as a mentor for the Point Foundation. 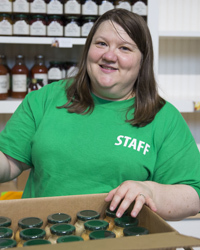 Jennifer McLean oversees City Harvest’s daily operations and community programming. 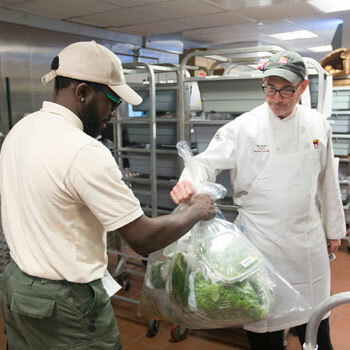 Her staff sources tens of millions of pounds of good food each year, providing free delivery to City Harvest’s network of community food programs, and works with partners to increase the availability of affordable fruits and vegetables in low-income communities. 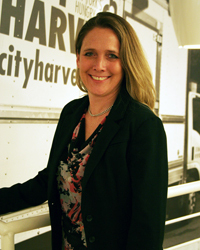 Jen joined City Harvest in 2000 and more recently served as Vice President, Community Impact. 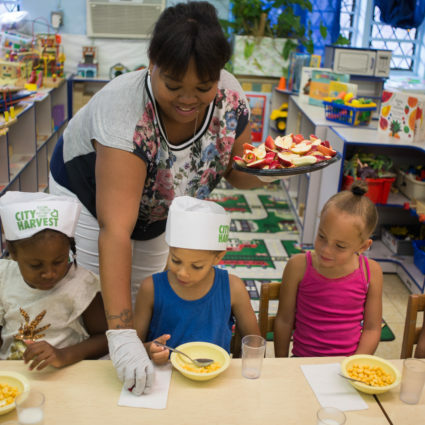 Over the years, Jen has placed a priority on the rescue and delivery of healthy food, led a team that increased annual food deliveries, and guided the expansion of Healthy Neighborhoods programs to all five boroughs. She also created HarvestWorks, an opportunity for farmers to supply community food programs with locally grown produce. Jennifer previously worked at Estee Lauder’s corporate office. Renee Richardson oversees the Finance, Human Resources, IT and Risk Management departments at City Harvest. Most recently she served as CFO and Treasurer of the Population Council. 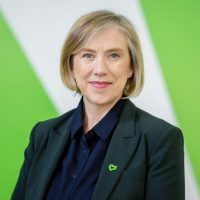 A native of Australia, Renee began her career as an Audit Manager for an accounting and consulting firm in Brisbane before moving to London where she worked for Railtrack PLC (now known as Network Rail). She held Controller and Director of Finance positions for the International Rescue Committee, working in the United States, Europe, Africa, and Asia before joining amFAR as their Controller. Renee brings a breadth of experience in accounting and reporting, budgeting and forecasting, enterprise risk management, systems implementation, and cross-functional collaboration to City Harvest. 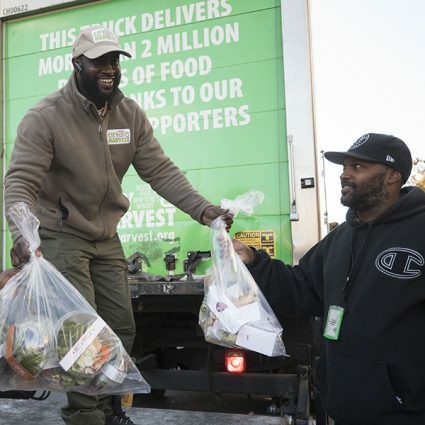 This year, City Harvest will collect 61 million pounds of good, nutritious food from farms, restaurants, grocers, and manufacturers – to help feed the more than 1.2 million New Yorkers struggling to put food on their tables.